Divald Homes has consistently maintained a respected reputation in our combined 30+ years of experience in real estate building, managing, and developing homes. We have built thousands of high end quality homes worldwide. Our company specializes in real estate acquisitions, management, sales, construction and both residential & commercial development in Florida's West Coast. We are now focusing our efforts in capitalizing on the great potential of the distressed single family home market in SW Florida. We are actively pursuing stress deals on homes that are in pre-foreclosure or already bank owned in excellent urban & suburban neighborhoods where there is a good rental market. On 100% cash deal purchases we can acquire homes at a savings of approximately 35%-50% of the current market value. Market comparables or appraiser's opinion will be provided upon request. We have access to, and experience with, these types of properties. We are also doing residential & commercial development in Florida as well as buying income producing properties (with good national tenants, long term leases, CPI, corporate guaranty, high cap rate, etc.). Keep in mind that we have access to 1000’s of bank owned properties – single family homes, apartments, commercial, motel ,resorts ,etc .properties can be bought for ridiculously low price just need to be in the right time. Just about everything that the great state of Florida has to offer can be found in Sarasota. 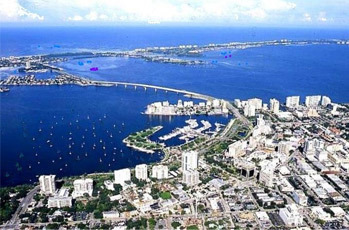 With a population slightly over 50,000, Sarasota is not too big or too small to cater to your every need. With its exotic flora and fauna, warm sunshine, unspoiled beaches, sophisticated dining, unique game parks and museums, it’s no wonder why Sarasota remains a top destination for the thousands of tourists visiting its shores. 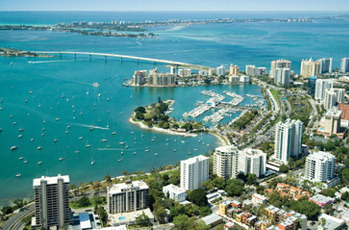 Sarasota attracts visitors from all over the world seeking to enjoy the year-round warm climate of the Gulf of Mexico. The opportunity for a picture-perfect day of swimming, loafing or simply collecting shells are unequaled. For those of you who want to spend even more quality time by the shoreline, visit Sarasota’s nearby barrier islands, located within the city’s official limits between the bay and the Gulf. These islands are known as “keys”, and are famous worldwide for the quality of their pristine, sandy beaches. The sheer fun that Sarasota provides with its Longboat, Lido and Sunset beaches are apt to satisfy and enthrall even the most experienced of world travelers. In Sarasota, there are plenty of outdoor activities to enjoy such as water skiing, snorkeling, swimming, beach volleyball, and even jogging or strolling with your feet in the surf. The opportunities to dine at some of the best restaurants while overlooking the amazing blue waters of Sarasota are seemingly endless. You can even visit an island that is devoted totally to satisfying your every shopping need. Take out a Charter Boat and bring the family along for an offshore fishing adventure. The waters around Sarasota are known for their clear waters and abundance of marine life. And when you've had your fill of beach life there are a number of attractions to keep you busy in Sarasota. From the world renowned Sarasota Opera House to the award winning Banyan Theater Company of Sarasota, this city features some of the most talented artists in America. You can also check out the Crowley Museum & Nature Center and the John and Mable Ringling Museum –both truly one of a kind institutions great for the whole family. In Sarasota, there's every kind of fun and entertainment imaginable – and then some.